KBC is one of the leading financial groups in Europe. It is an omni-channel bank-insurance group with a geographic focus on Europe, catering mainly to retail clients, SMEs and mid-cap clients in its core countries of Belgium, Bulgaria, the Czech Republic, Hungary, Ireland and Slovakia. The group occupies significant, and in many cases leading positions in its core markets and has also selectively established a presence in a number of other countries and regions around the world. KBC serves more than 11 million clients via a network of ca. 1 500 bank branches, sales of insurance via own agents and other channels and various electronic channels. Putting clients’ interests at the heart of what they do and strive to offer them high quality service and relevant solutions at all times. Striving to offer clients a unique bank-insurance experience. Developing the group with a long-term perspective in order to achieve sustainable and profitable growth. Taking their responsibility towards society and local economies very seriously and aiming to reflect that in their everyday activities. As bank-insurer, their purpose is to help all stakeholders realize their dreams and protect them. Even more: we want to inspire, boost and stimulate those who count on us, day after day. 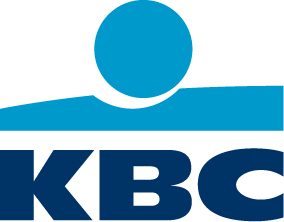 KBC is one of the largest companies in Belgium and is listed on Euronext Brussels (ticker symbol ‘KBC’). “Sustainability is not part of a separate strategy but is embedded into the four pillars of our overall KBC strategy and in day-to-day business activities. Sustainability is only possible if we maintain the trust of the society in which we operate. We aim to achieve this by acting as a responsible company: being aware at all times of the impact of our operations on society, and responding to society’s needs and expectations in a balanced, relevant and transparent way. Responsible behavior is the basic layer of sustainability at KBC. In order to maintain and grow trust, it is of utmost importance that we behave responsibly in everything we do, at every layer of the organization, each and every day. We are determined to limit our adverse impact on society while carrying out all our activities. We achieve this by implementing strict policies and sustainability guidelines, by focusing on sustainable investments and by reducing our own environmental footprint.